"It was my mistake, and I'm sorry. I started Facebook, I run it and I'm responsible for what happens here," Mark Zuckerberg told the US Congress in written testimony. 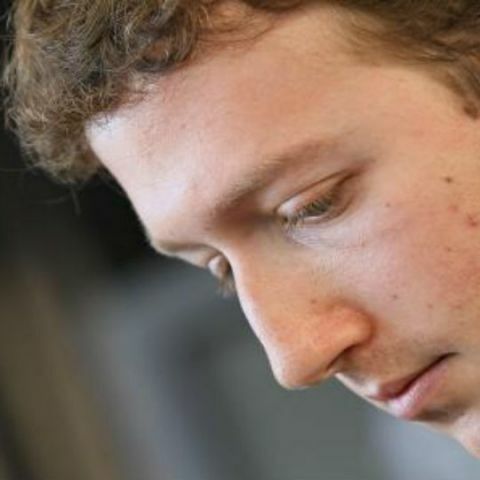 Facebook CEO, Mark Zuckerberg told the US Congress in written testimony on Monday that he is "responsible for" not preventing the social media platform from being used for harm, including fake news, foreign interference in elections and hate speech. "We didn't take a broad enough view of our responsibility and that was a big mistake," Zuckerberg was quoted as saying in a prepared testimony released by the US House Energy and Commerce Committee. "It was my mistake, and I'm sorry. I started Facebook, I run it and I'm responsible for what happens here," he said in the remarks he is expected to deliver in a hearing on Wednesday. Zuckerberg's apology came after Facebook got embroiled in a widening scandal wherein a British data firm called Cambridge Analytica was found to be improperly gathering detailed Facebook information of 87 million users, up from a previous estimate of more than 50 million users. Facebook also recently revealed that outsiders took advantage of search tools on its platform, making it possible for them to collect personal information on most of its 2 billion users worldwide without the users' explicit permission. This was Zuckerberg's latest apology for the personal data leak and he vowed to plug the vulnerabilities while attempting to defend himself by listing the company's measures to protect user privacy in past years. He said Facebook had changed the entire platform in 2014 to "dramatically limit the Facebook information apps could access." Moreover, Facebook banned Aleksandr Kogan, a Cambridge University researcher who leaked the data to Cambridge Analytica, from using Facebook data in 2015 and certified that "they had deleted all improperly acquired data," according to Zuckerberg. But he did not explain why and how Cambridge Analytica still managed to misuse the personal data afterwards. Zuckerberg pledged to limit the information the platform developers can access and they have to get users' approval. "We're in the process of investigating every app that had access to a large amount of information before we locked down our platform in 2014," said Zuckerberg. "If we detect suspicious activity, we'll do a full forensic audit. And if we find that someone is improperly using data, we'll ban them and tell everyone affected," he added. The leaked data was said to be inappropriately used by Cambridge Analytica in activities allegedly connected with US President Donald Trump's election campaign in 2016. Wanted to import a laptop from US.